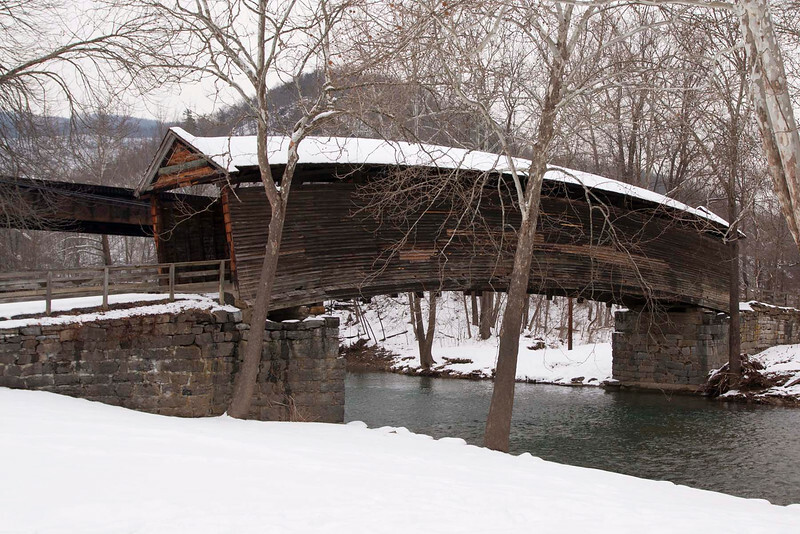 Barrackville Covered Bridge located near Fairmont, WV. 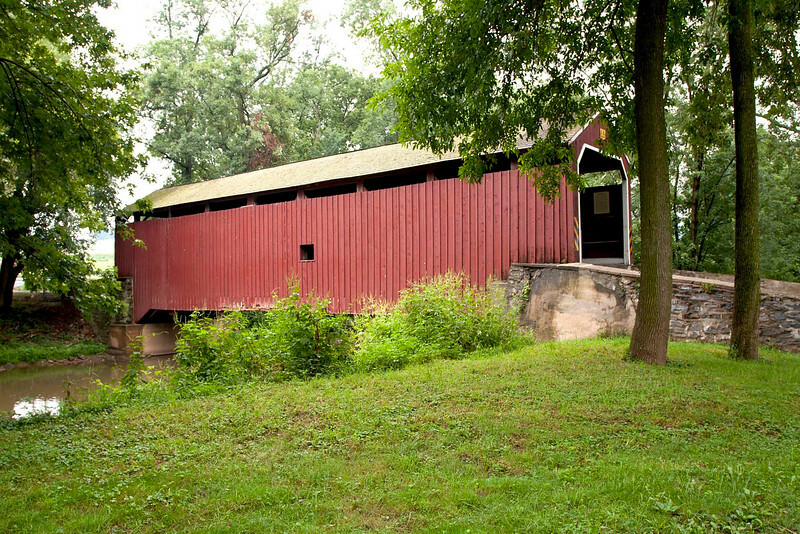 Was built in 1853 and is 148' long. 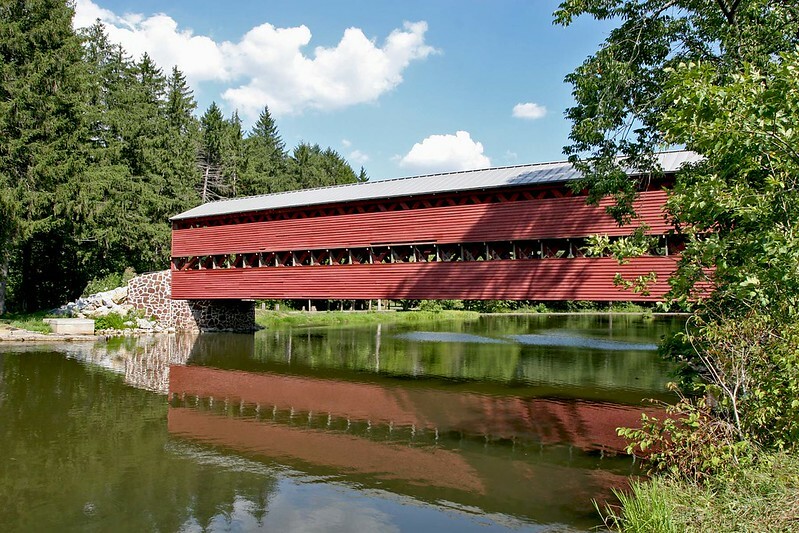 nearby farmer to store hay until 1954. in 1954 it was restored and preserved where it stand today. 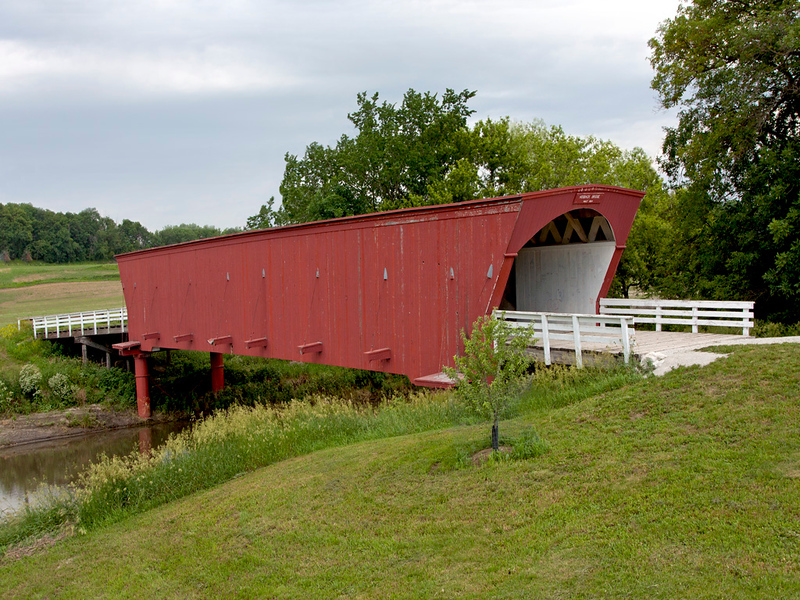 salvaged and the bridge was reconstructed and eventually undergirded with steel beams and concrete piers. 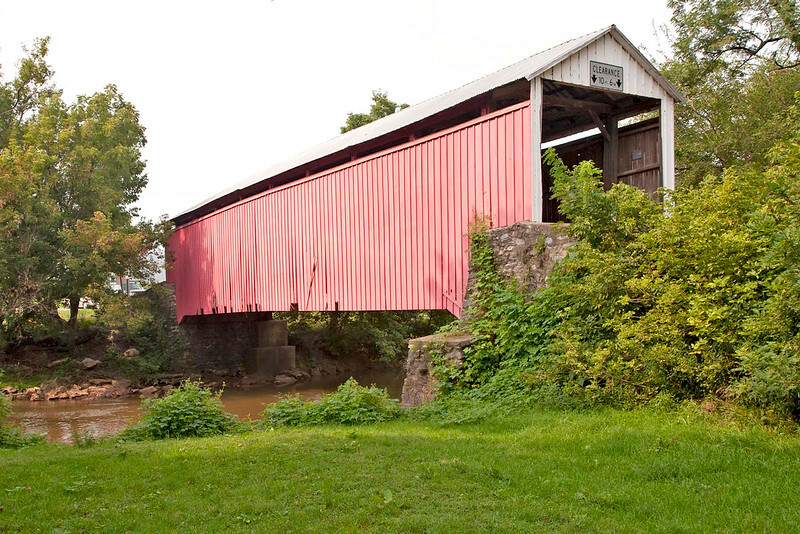 The Hunsecker Mill covered Bridge originally built in 1848 but was destroyed by Hurricane Agnes. 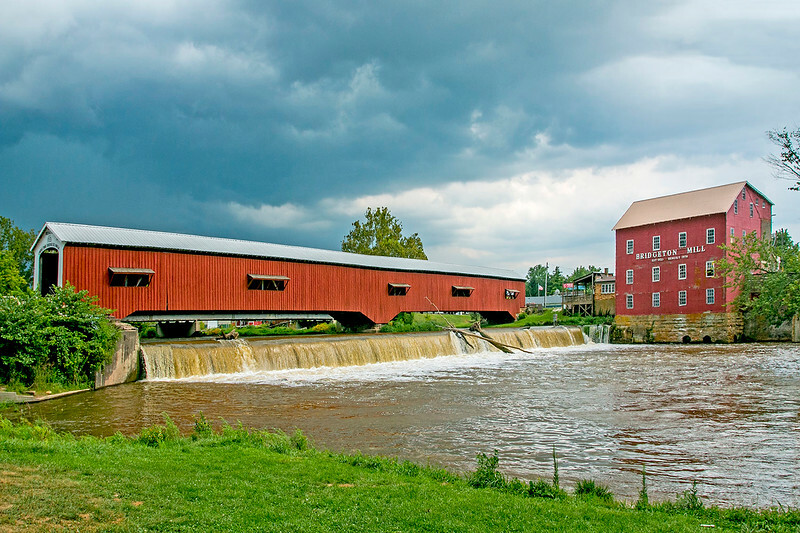 Saucks Covered Bridge was built in 1854 and is located by Gettysbrug National Military Park in PA. 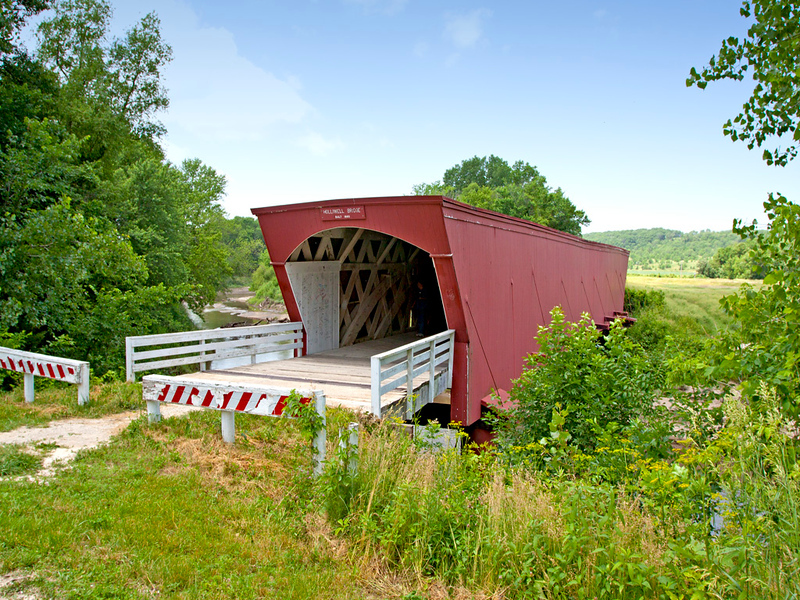 The bridge is 100' long and 15' wide. 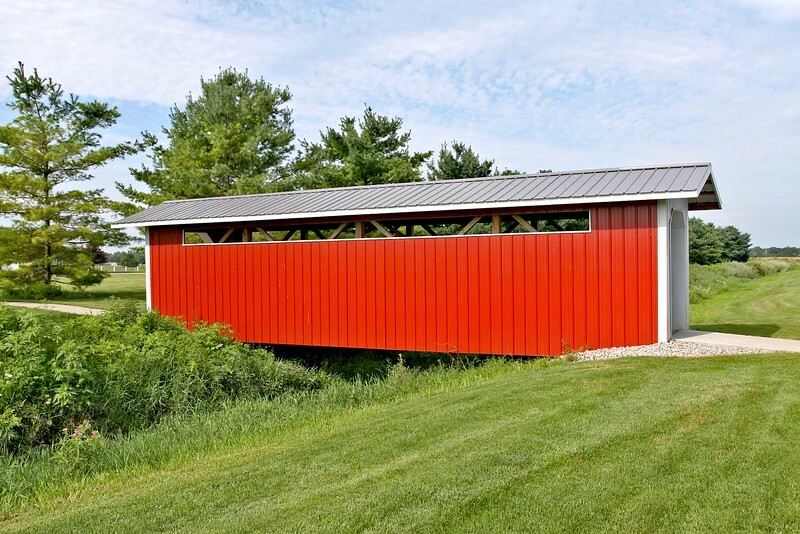 One span using the Town truss design. 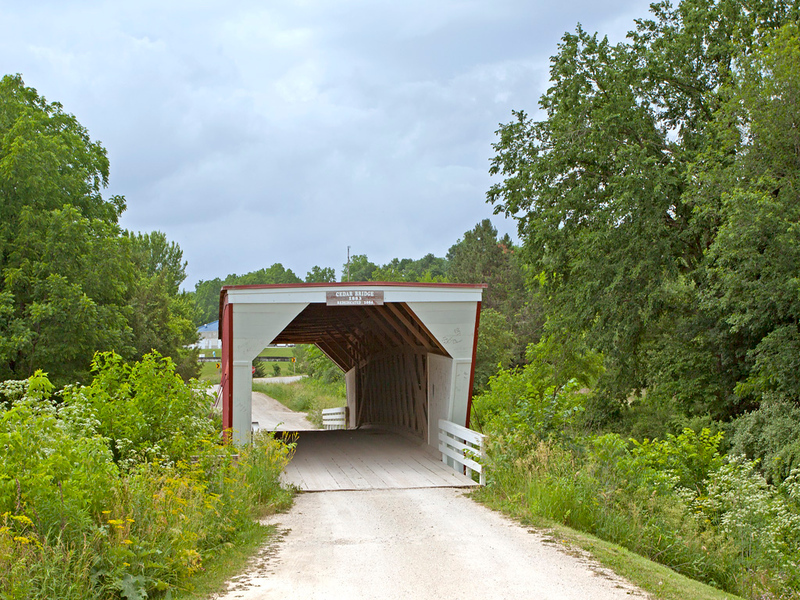 Only open to foot traffic. 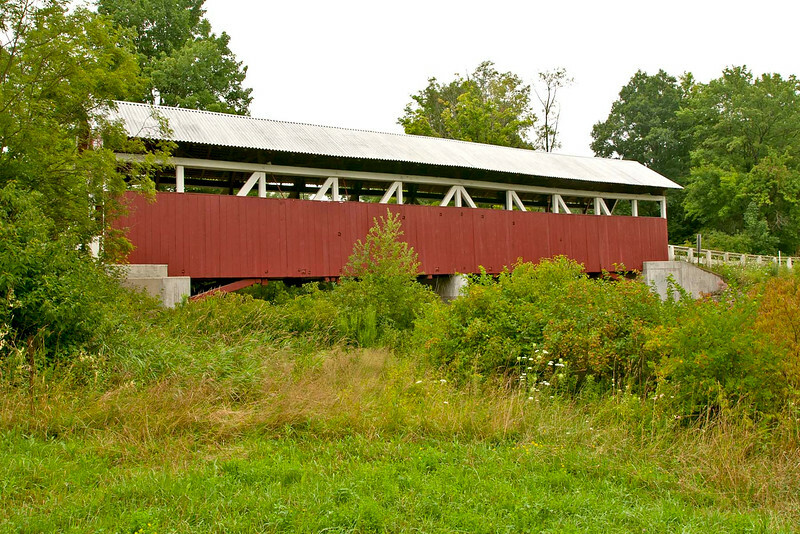 and close to a crude post battle field hospital. 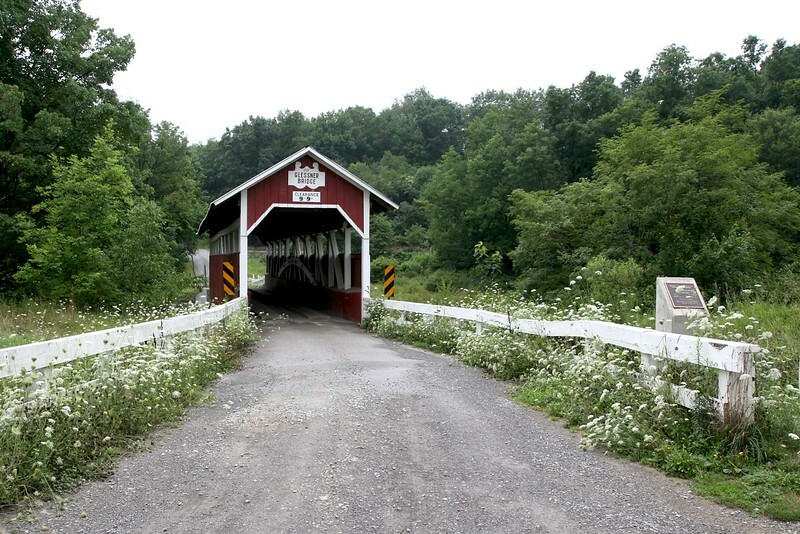 1881 Glessner Covered Bridge is located north of Shanksville in Somerset County PA.
oldest bridge still in use. 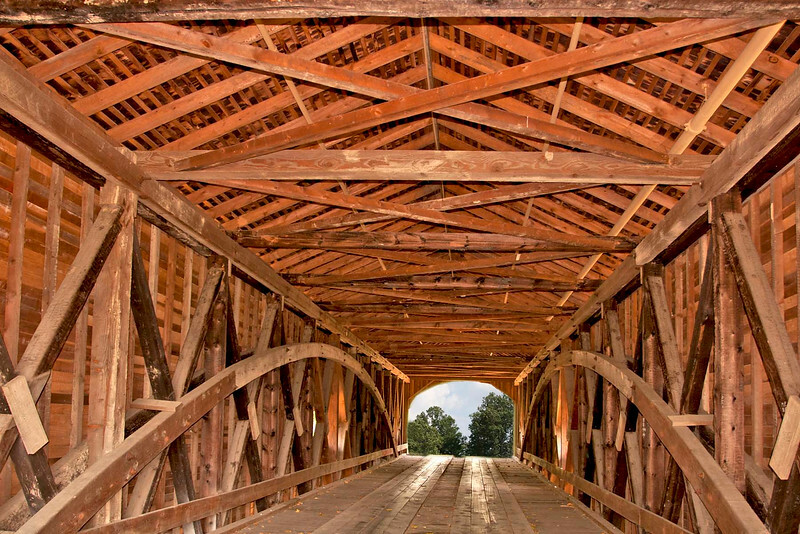 Built in 1881 for $1,167. 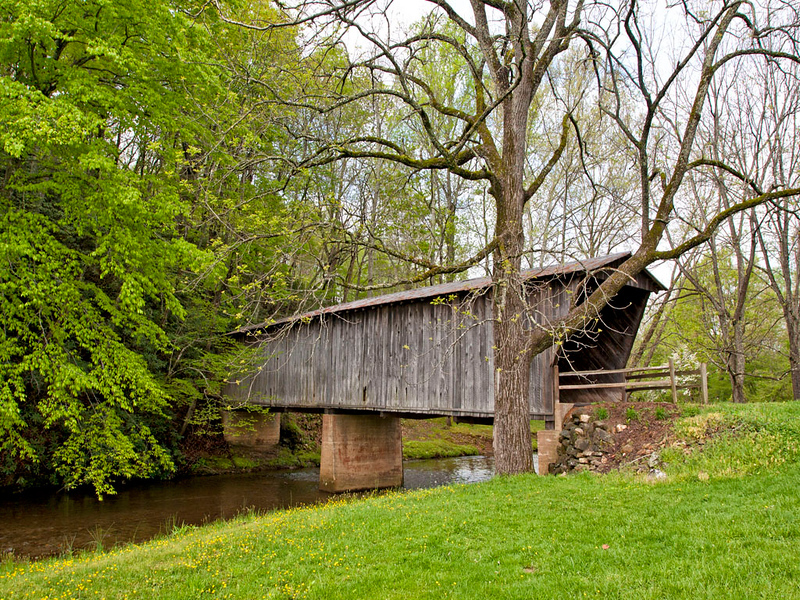 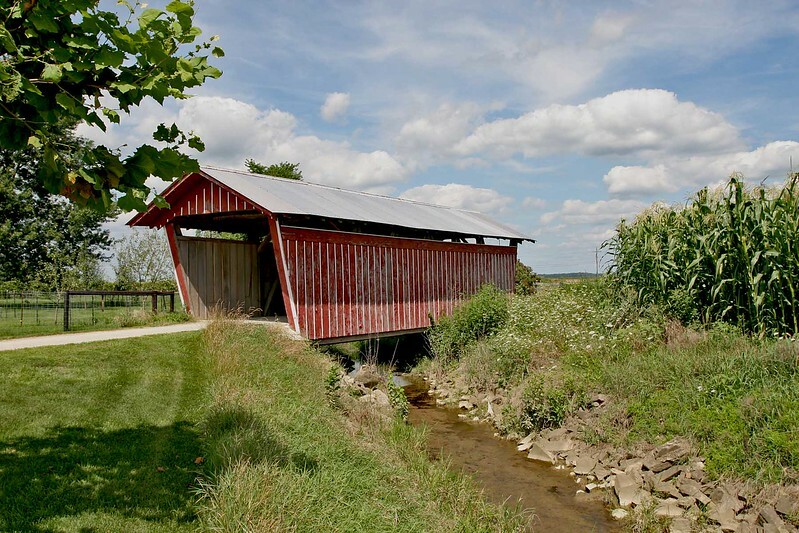 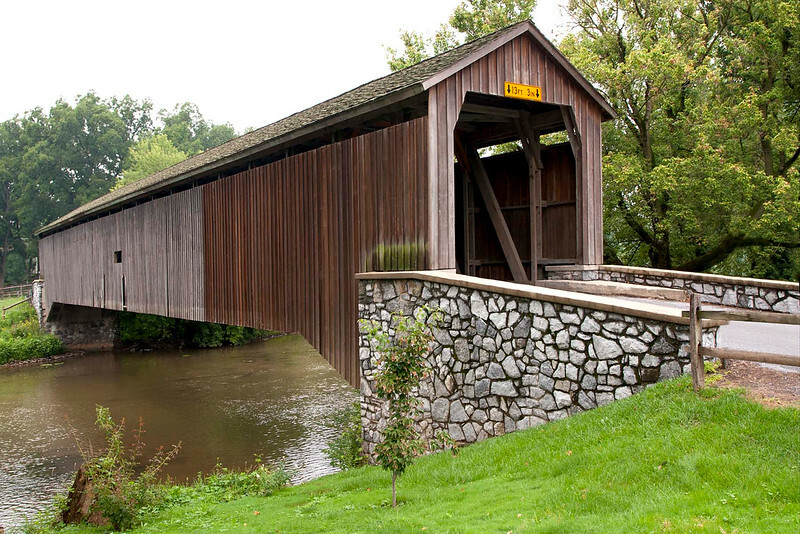 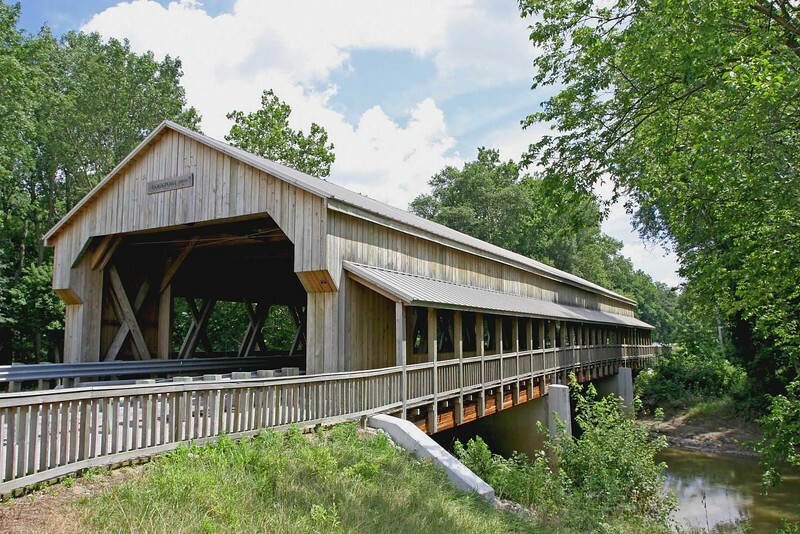 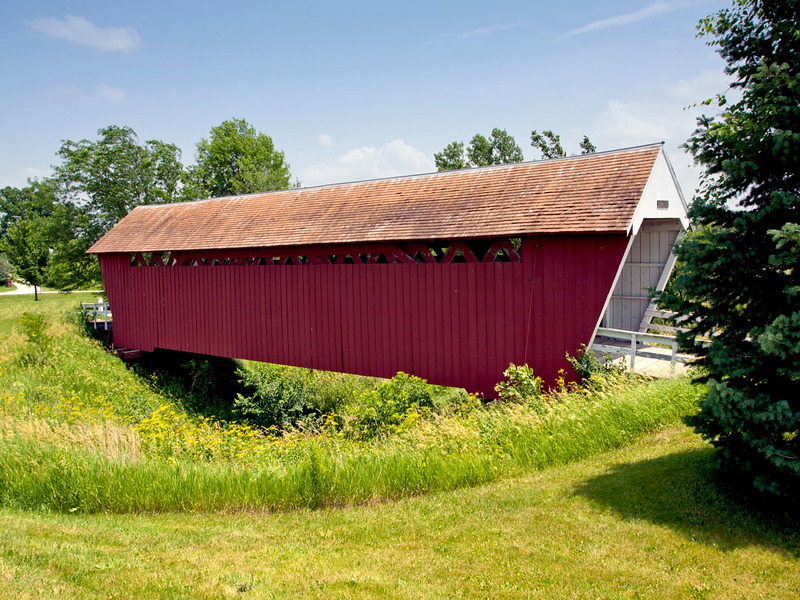 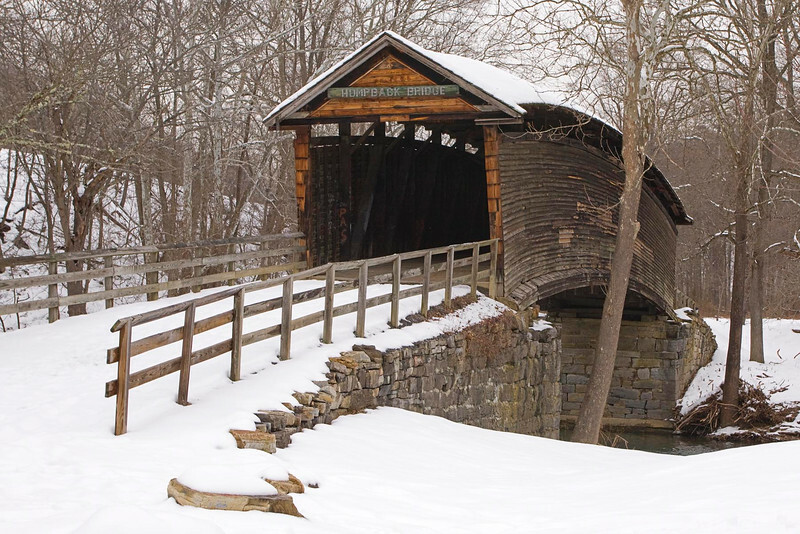 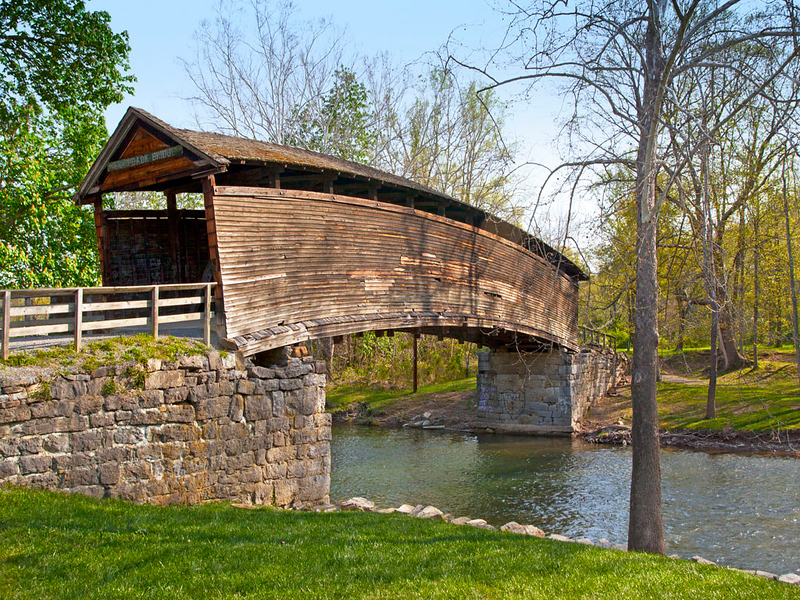 Length is 68' It is the second shortest covered bridge in Lancaster County. 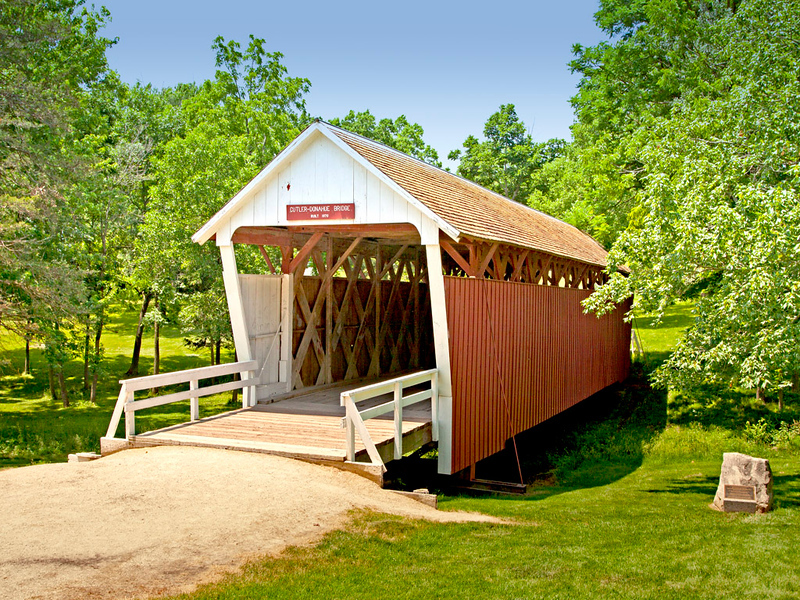 Imes Covered Bridge, Located in a park near St. Charles, IA. 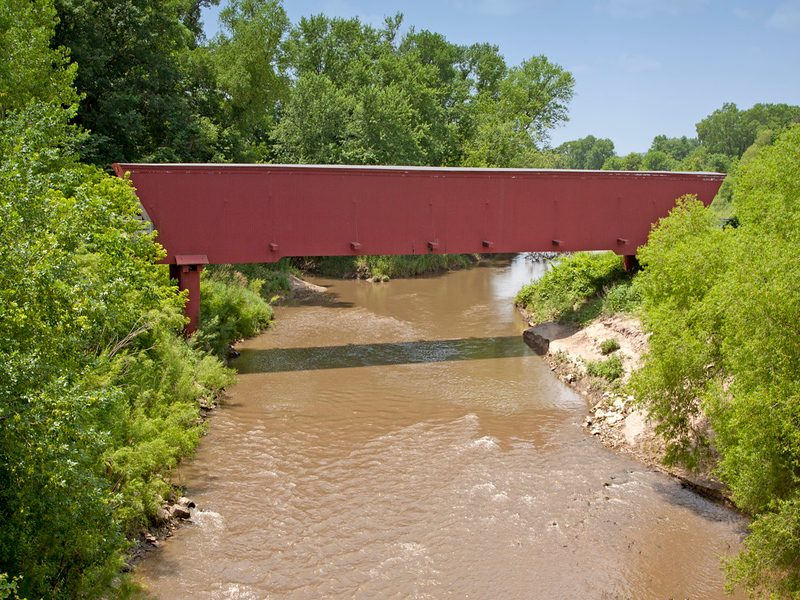 81 ft long. 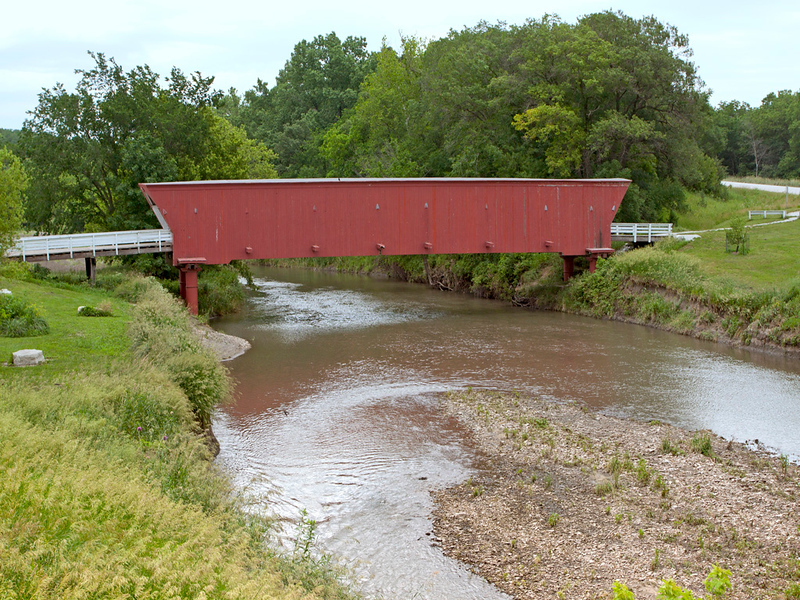 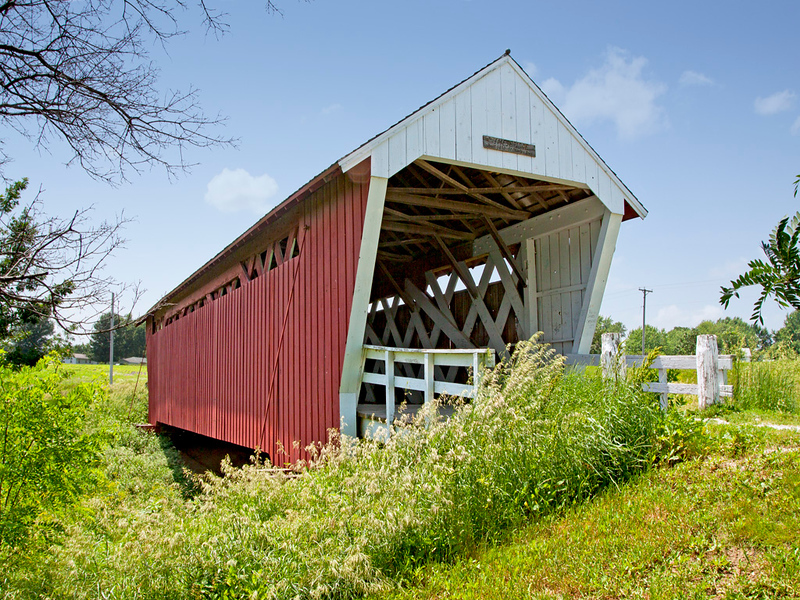 Holliwell Covered Bridge, 122 ft. long, located in Madison County, IA. 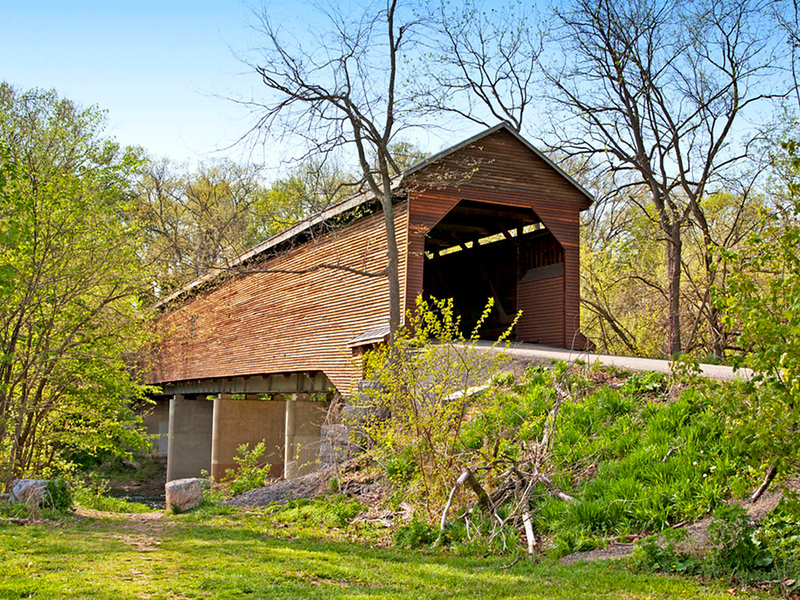 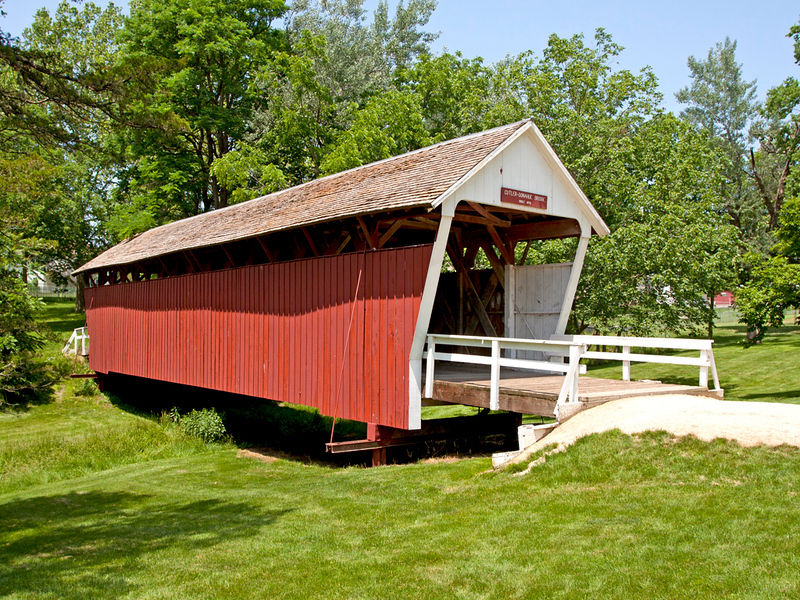 Cutler-Donahoe Covered Bridge is located in Winterset's City Park, Madison County, IA. 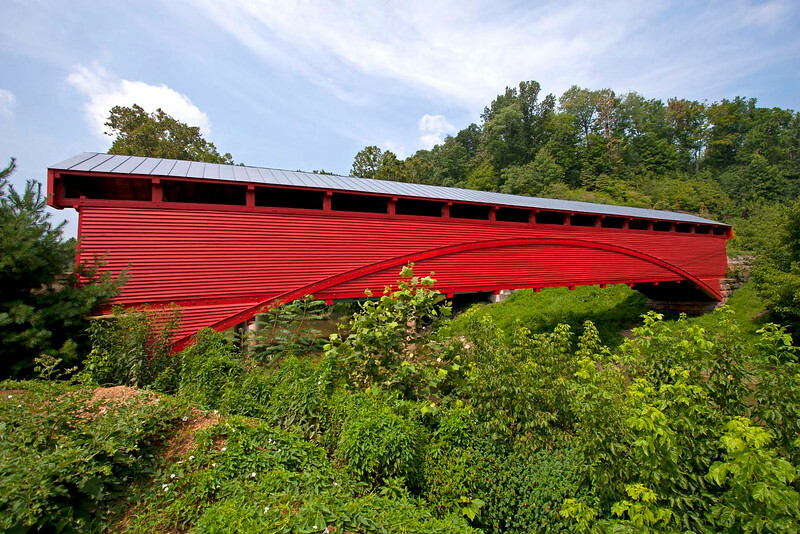 79 feet long. 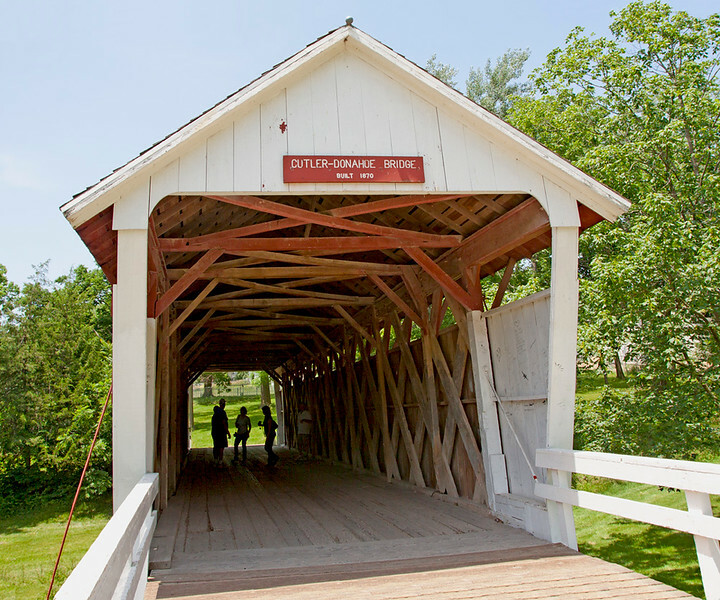 Built in 1870. 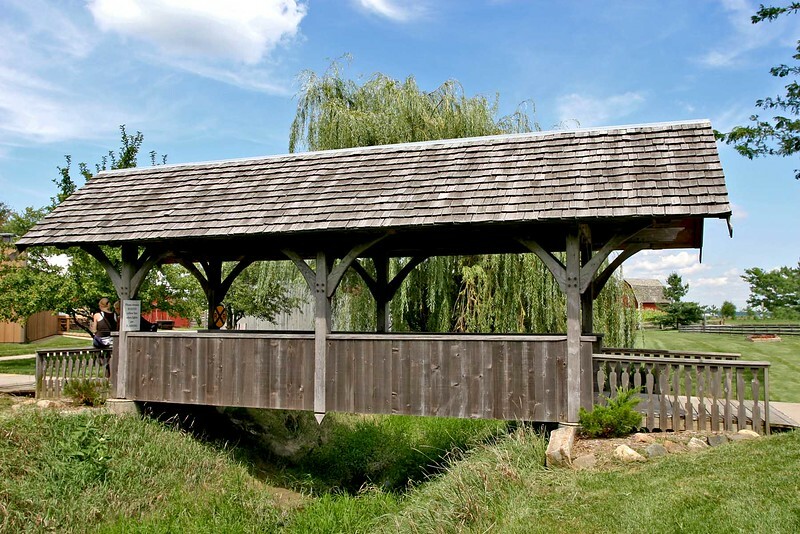 104' Single span Burr Arch structure. 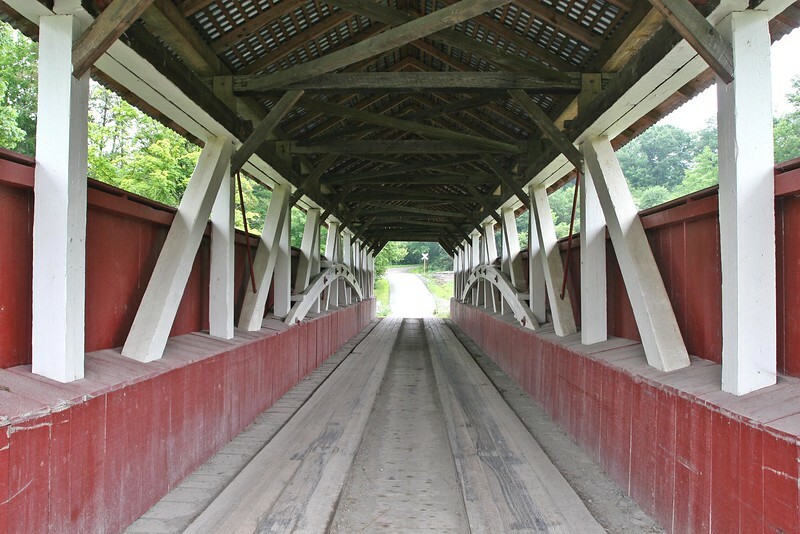 Zook's Mill Covered Bridge near Akron, PA. Burr Arch design. 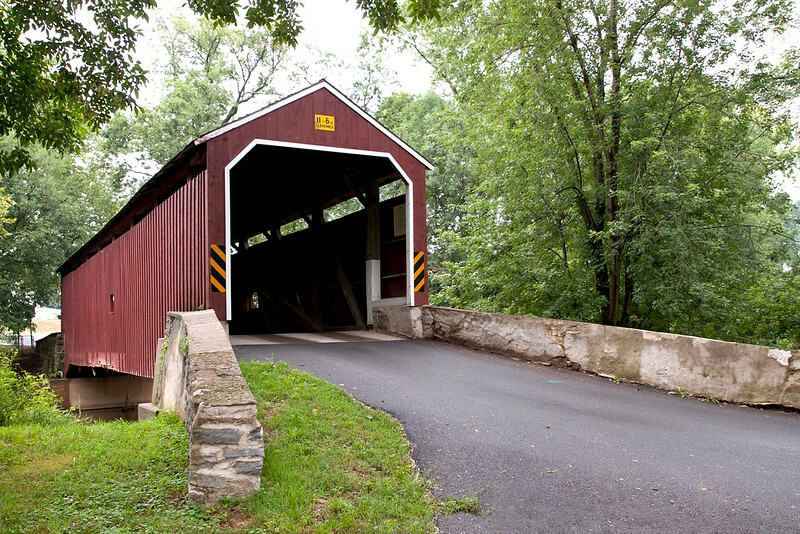 89' long and 15' wide Built in 1849. 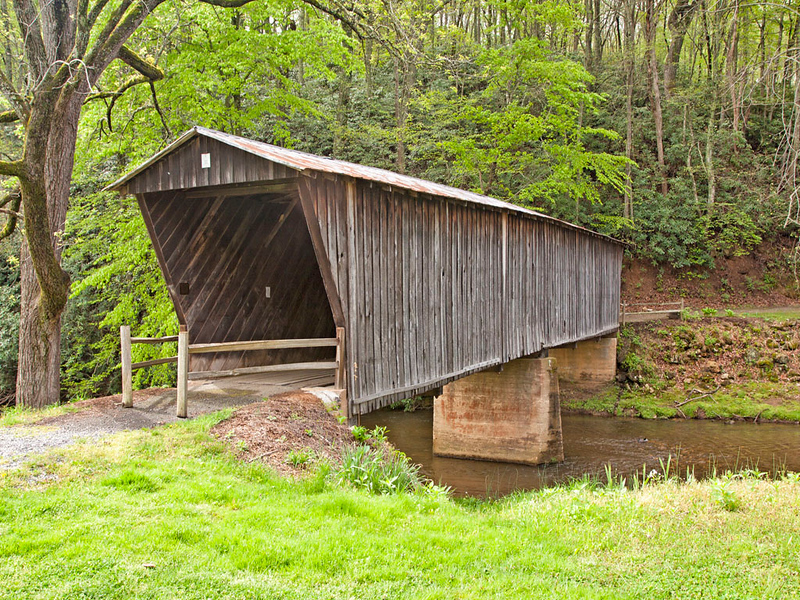 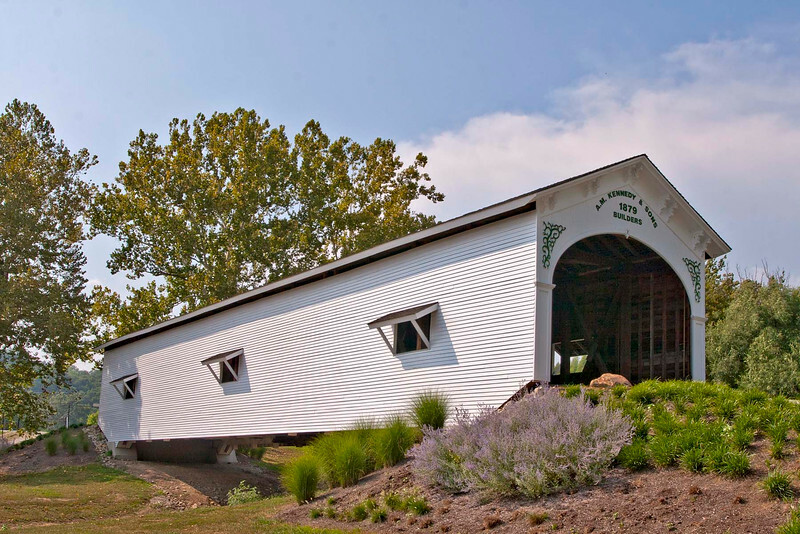 Humpback Covered Bridge gets it's name from having a 4' higher center than the ends of the 100' span. 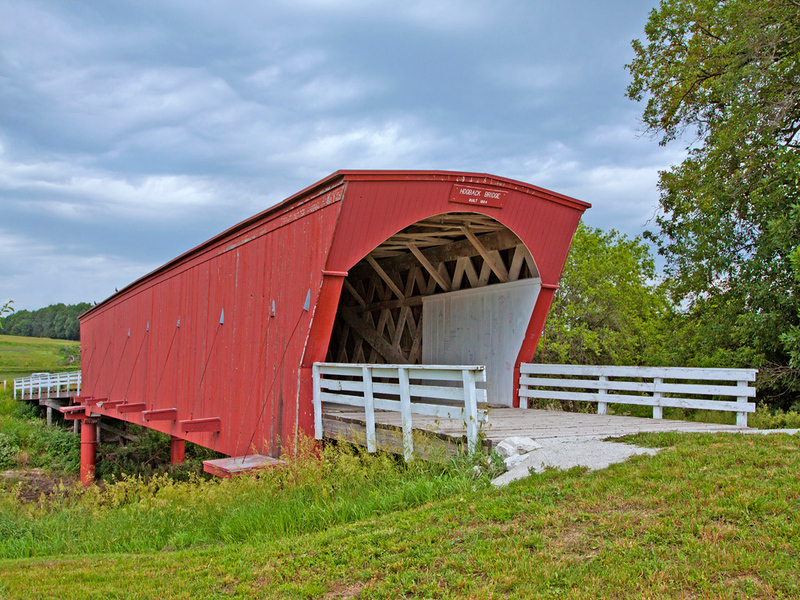 Holliwell Covered Bridge, 122 Feet long, Located in Madison County, IA. 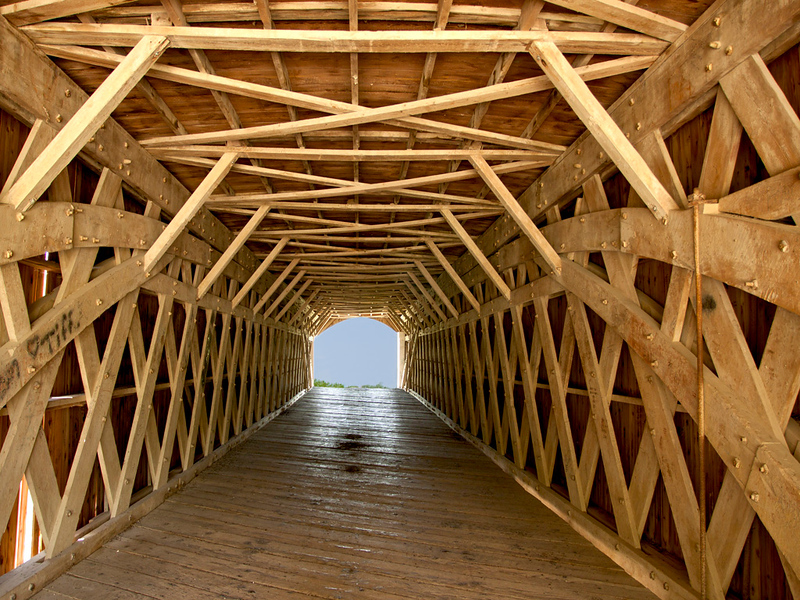 and hand-made Locust wood pins. 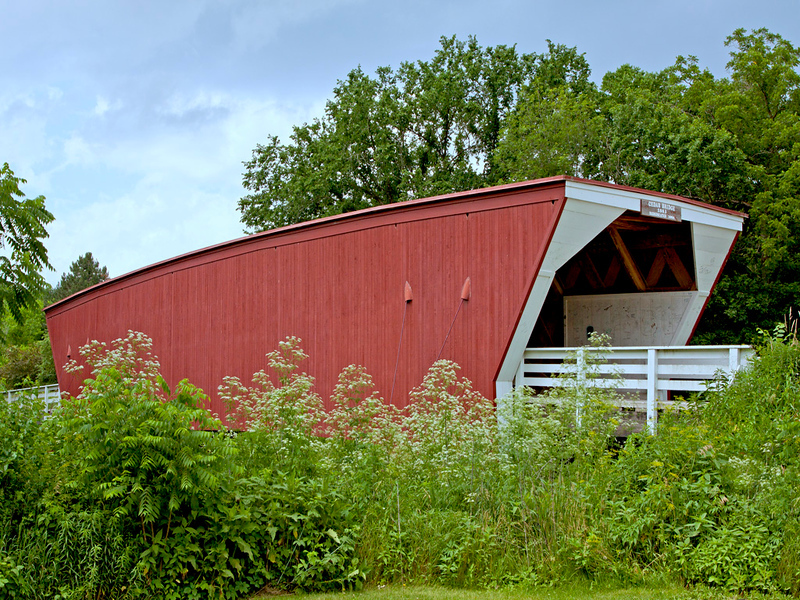 Built in 1999. 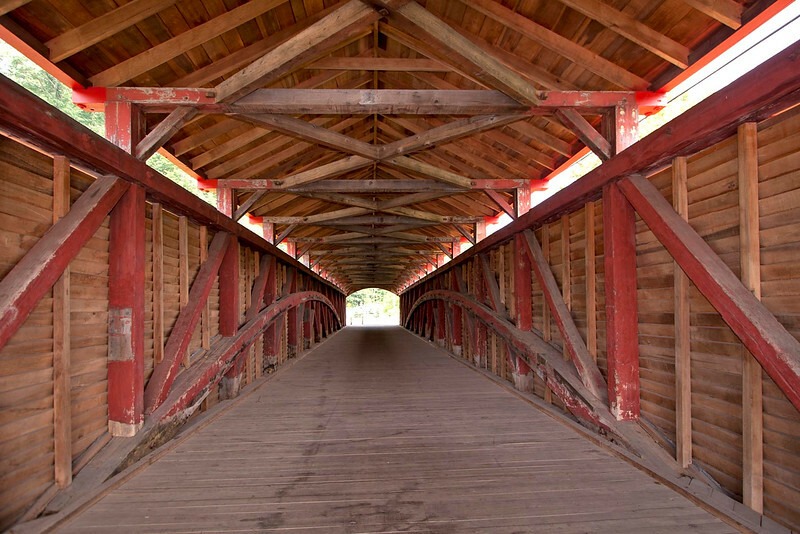 The covered bridge is wide enough for 2 lanes and has a walkway on the southside. 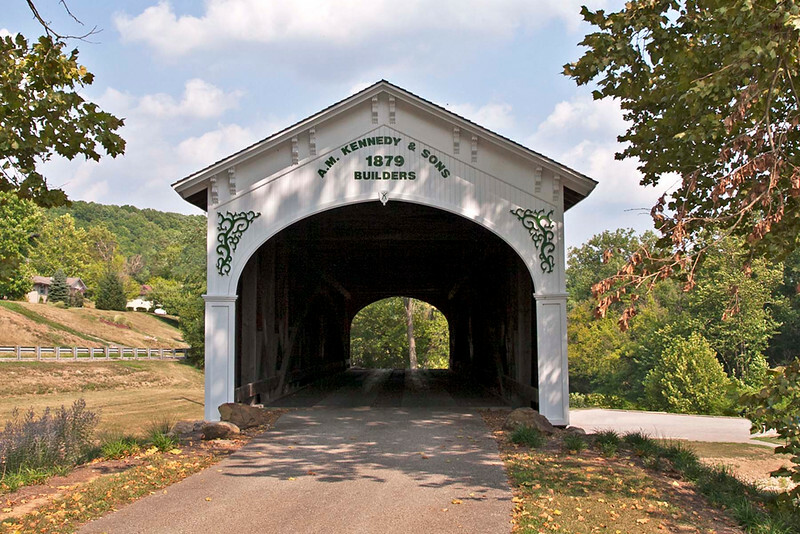 The bridge is in Williams County, Ohio.